The album is available NOW on iTunes. The price here in the US anyway is $9.99. I’m told the iTunes availability is NOT limited to the US. 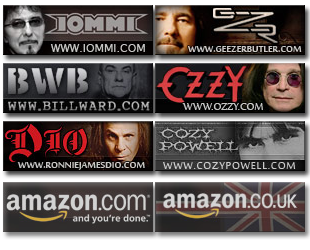 Availability on other digital formats (Amazon MP3 store, Google Play, etc) is at of this point unknown. I’ve already passed on the remarks that non Apple fans won’t be happy about that it is iTunes only. Don’t steal it. Go buy it. Availability on streaming places such as Spotify are unknown. I’m told there will eventually be a physical media release, but dates are unknown. I get the impression this is a digital exclusive for the time being. In other words, I wouldn’t hold your breath on that. There is a small booklet that comes with the album on iTunes. In it, it talks about more info being available at the website above soon. The album is dedicated to Mark “Gopher” Jones, who died last year. I knew Gopher, when I first got involved with Bill, Gopher was my main contact point with Bill. Good man. Track 4 might stand for “Darkest Of The Horses“, as that is sung in the song. iTunes in the US lists the release date as “April 21st”. I’m told that is the date the album was submitted to iTunes. The proper release date is April 25, 2015, which is when it was first made public. great LP, bought 2 copies and a shirt, lot’s of heaviness present, the “format for itunes” may not sound great on a normal system ?, not sure but I listened to a burned itunes copy in my studio and man oh man … hearing the details really makes the LP sound much better, maybe I’m not used to “blasting” it but always do at least once when I purchase a new LP. why 2 copies ? well actually 3, one for my daughter one for Bill to sign and one to open and play ! but having the burnt CD I can keep them both clean, (thanks to Mike) for letting his copy be burned for me to hear before I bought the LP’s, I can’t hardly wait for Beyond Aston (I know I know …) to come out as we’ve been waiting much to long ! Well, Monte, Beyond Aston..let’s not get our hopes up just yet. We got one new album, which is nothing short of a miracle, but let’s not get carried away. Just because we got one doesn’t mean that suddenly Bill is going to start releasing everything. It’s taken this long, so it could take this long again before we see anything else. I mean, we waited for nearly 15 years for 13 to come out, and then when it did, everyone expected “14” like the next day. So we have to be realistic. 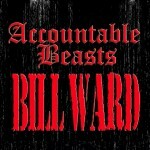 Accountable Beasts release proves that Bill can and will release something if he feels it’s worth while. So the best thing we can do is let Bill know how much we love and appreciate his new album. And then maybe he will, in time, release more. But if not enough people seem to care, then why would he bother in the future. For now, let’s be happy for what we have. If we get too excited for the next thing instead, we could be disappointed. Worry about the next release if and when it happens. For now let’s just blast some Beasts! Is there any chance that Bill will tour for this album? That would be so great! Actually I’d give this album a 10/10. The first new album since the 1990ies that really touches and surprises me. It is so very new and so old-school at the same time, so hard and so soft, easy and difficult, so sad and so happy… I like Sabbath’s ’13’ album, although it would have been much better with Bill IMHO, but after listening to 13 I forget almost everything within an hour or so… The melodies of ‘Accountable Beast’, in contrast, are in my mind all of the time now. Thanks a lot, Bill and your great band! Sad! But thanks for the info! @ Anthony Roof , yes it’s been a long time for Beyond Aston but I have a real gut feeling it will be out before year end 2015, I do think he is somewhat picky about releasing an LP these past years as I was given a copy of AB demo where Leaf Killers had a few minor changes, one being the Bass and Drums coming in like the second bar and then into the main riff, the other he took out some Lyrics he didn’t like, but the rest of the LP was the same. spending time on final mixes is a big thing but I feel he’s got this all down and just need to re-do them sonically as he did with AB where it will play well on earphones. then I imaging he should wait some period of time and give AB a chance to be sold to the fans as new as it still is. SO that said I personally would give it a year but it’s all up to him. I hope you are right, Monte. Now that I’ve heard AB, I’m wanting to hear more. I’ll be patient though, as I know these things can take time. But it sounds like Bill still has some more music in him and if and when he is ready to share it, I’ll be all ears. 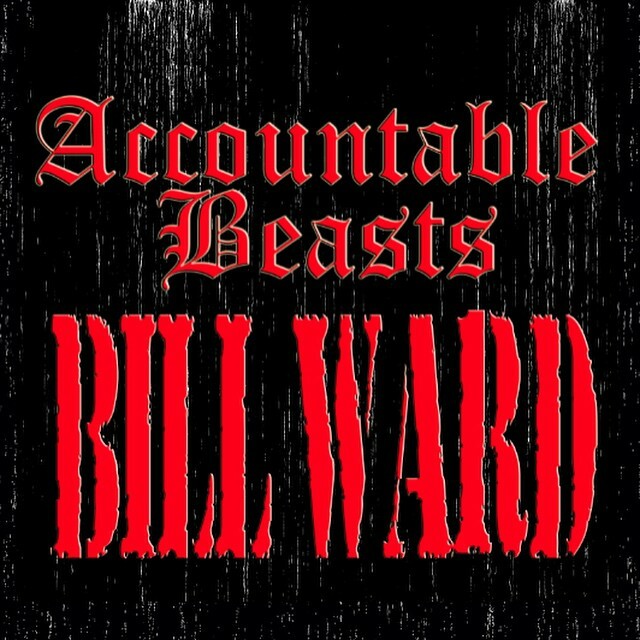 Just listening to Accountable Beasts again after a few months off it (I did over do it when I first got it! ), still an AWESOME album, love it so much. 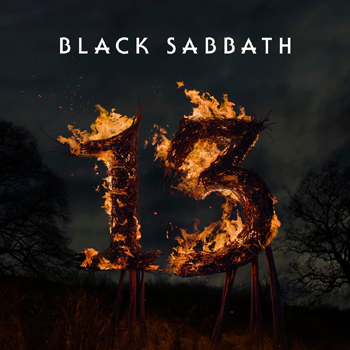 So melodious, so heavy, so progressive, so original, and “Kataclysmic World” is an amazing song, Sabbath through and through. So much of this reminds me of Sabotage/TE/NSD, but it has its own vibe and its own style. Beautiful music indeed.